It's February already and the past few days the weather had been simply gorgeous! This "winter" it hasn't felt like winter much, except for few days here and there, and today was one of those days. The only thing missing is some snow on the ground, but I know I'm asking too much of England. Today I went to Bury St. Edmunds again because I simply needed to get out of the house. Few days ago I got a package from my friend in Florida, and she sent me several kimono gifts! I immediately fell in love with this kimono because I have another one almost exactly like it, but in wool! How cool is that? 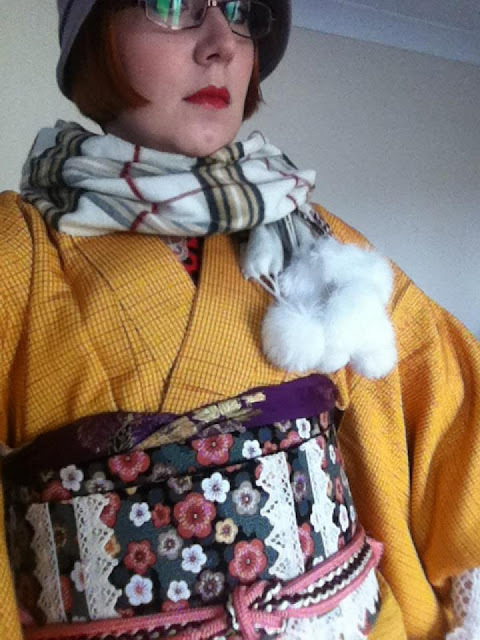 Also, this kimono felt pretty heavy, as if it was made for cold weather, so at the end it was a no brainer. I've decided to be somewhat adventurous with the obi and choose another one I've made. Actually it's the same one as I wore the last time, except in reverse. There are some definite benefits to reversible tsuke obi! 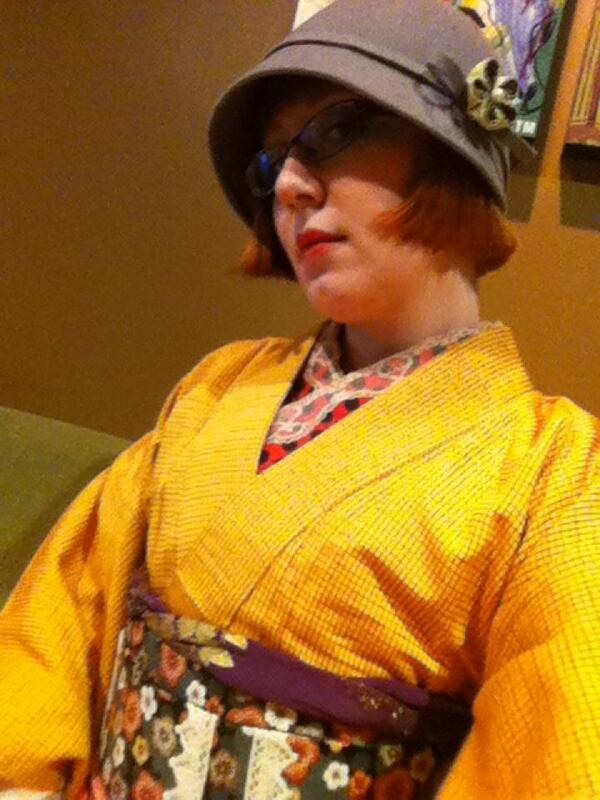 So I picked the kimono and obi, but now I was at a loss as to which accessories to pick. At first I thought of wearing my brown boots, but I couldn't think of any obiage/obijime to wear to match. So instead I've decided on my new favorite purple obiage, decorated with gold roses. I couldn't make up my mind on which obijime to pick, so instead I used both of them! The next time I wear this obi I will make sure to have the lace on top, since it kinda clashes with the obijime. Actually, the idea was that the top part of the obi will be covered with obiage, so the lace wouldn't be visible, but since I'm tying my obiage differently now, I don't have that problem anymore. Now I can reverse my obi without being afraid that the lace will be covered. My scarf matches the kanzashi on my hat! It's the one that Kitty Kanzashi gave me for Christmas, and I absolutely love it! I thought I didn't have anything to wear for my hands, until I remember that I had these hand warmers. They were perfect! :) And of course, can't forget my trusty "kimono boots". Hi! Kihachijou Kimono? 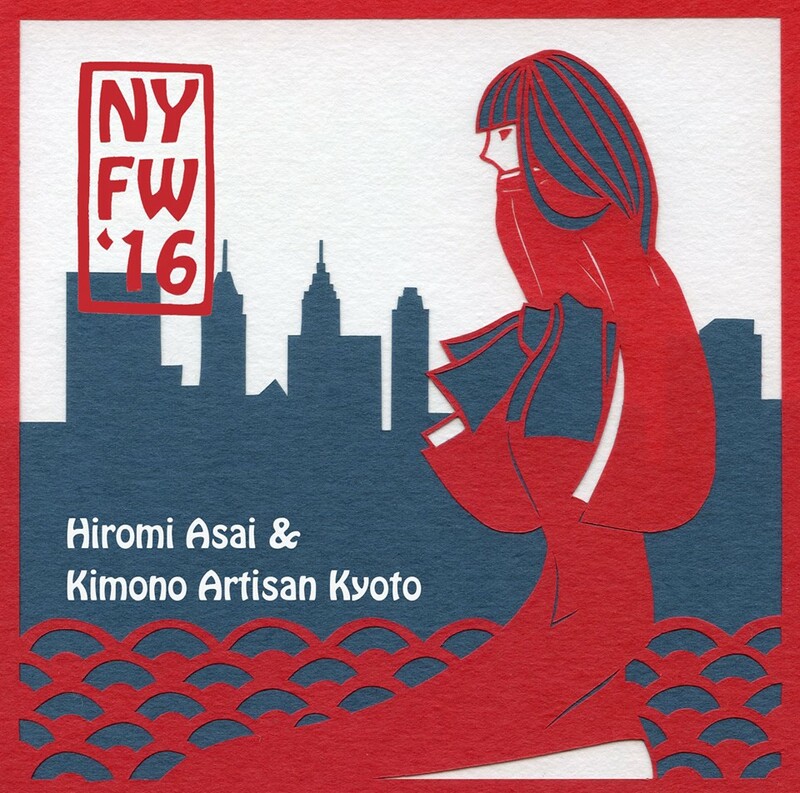 I always keep away from Kihachi, because feel like it's much "homey" But your style is so nice~~! I would like to have one if I could dress Kihachi like this! I love how you pick accessories. Everytime I watch your outfit, I feel like wearing adventurous coordination!